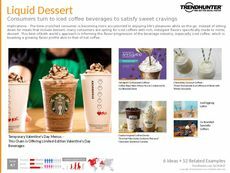 Find Better Ideas, Faster ® with a custom dessert trend report, our PRO Dashboard and 80+ categories of premium trend reports. 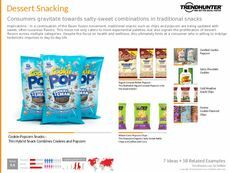 The Dessert Trend Report delves into the world of sweets, sugars and spices, giving you an in-depth look at the dessert food trends influencing today’s consumer. 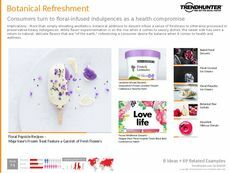 From fudge chocolates and cheesecake pastries to sugar-free dessert recipes, our report covers the latest baking trends to capture consumer attention. 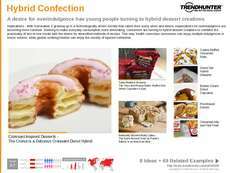 Additionally, we examine the Food Network and its popular shows like ‘Ace of Cakes’ and ‘Cupcake Wars,’ and how they have inspired consumers to develop their sweet tooth either for recreational or professional purposes. 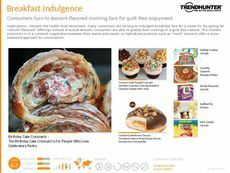 Bakers, aspiring chefs, restaurant operators and companies that sell fresh baked or packaged sweets can profit from the wealth of consumer knowledge in our report. 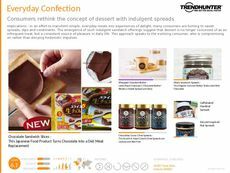 Whether you are an independent food author and product innovator at a global corporation or are looking to improve a simple menu, our dessert trend research will benefit those who are seeking innovation and want to enhance the creative process. 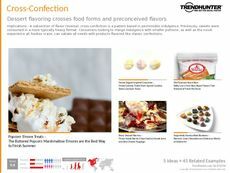 Extract insight cultivated from consumers and identify emerging market opportunities with the Dessert Trend Report.